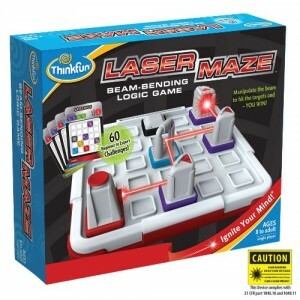 Laser Maze by Think Fun is a fantastic new beam bending logic game where the players have to make the laser travel through the maze taking certain paths. All you have to do is choose a challenge card and place certain tokens on the maze as instructed. You then need to place the remaining tokens in the correct path to then fire up the laser and make the beam travel to hit the target. 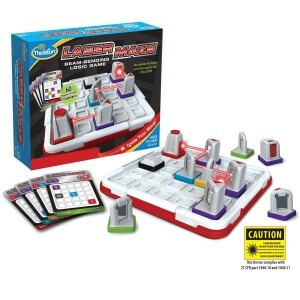 Batteries are included and the laser maze comes with Free Delivery.